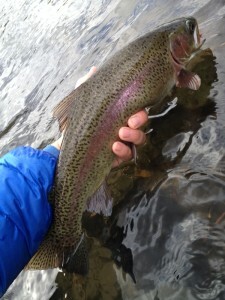 You are here: Home / Steelhead Chaser Blog / Deschutes river / Big April for AWA!!!! 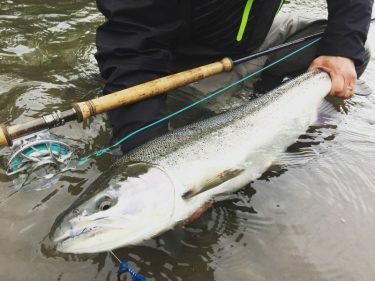 Not all winter fish are giants, but you work for everyone you get. Bright Winter fish that showed up late but still made a great showing!!! Well April has been a great month!! 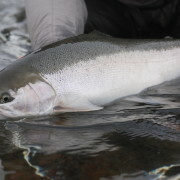 The end of last Month and into this one the Winter Steelhead decided to make their annual appearance. 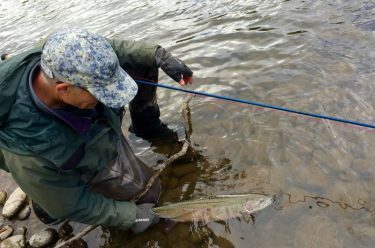 The end of the season saw some great battles both won and lost and a lot of big smiles and renewed appreciation for the reward of chasing these wonderful Winter Steelhead. With mother natures cooperation next year we will be ready to do it all again. 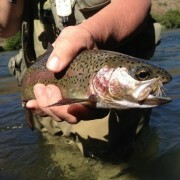 Great Redside taken on a dry Stonefly pattern!!! 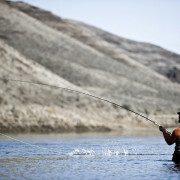 Trout fishing is getting better by the day and dry fly action is not far away. Speaking of Mother nature, she seems to have eased up a bit…. 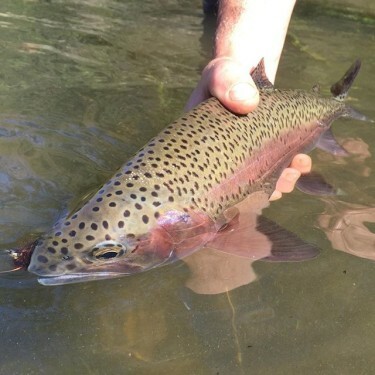 and just in time for the kick off of trout season. With the promise of warmer weather not drier but we can all hope. Just around the corner is the big bug hatch we have waited all damn winter to attend. If you have not booked your dates, wait no longer because you just might not get one. 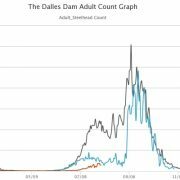 This high water will slowly come dawn and the Redsides will be hungry, no doubt about it. All things in this photo are perfect!! 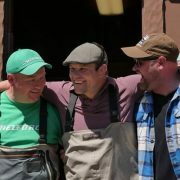 Lastly, I must say that this year the Spey O Rama World Championships of Spey casting event was one of the best I have ever been to. I will first thank the club for the presentation of the ponds and how efficiently everything was run. I will thank the clubs volunteers for giving their time and energy to make sure that nothing went unnoticed or covered. Next I tip my hat to every man and woman who stepped foot in that pond on Saturday, the courage needed now a days to even get in those ponds is indescribable. To those who qualified and place it is nothing short of amazing!!!! Never in my casting career have I seen so much casting talent in one place and so many pushing themselves for it. To all the caster now and in the years to come, don’t live in fear come be a part of SOR. 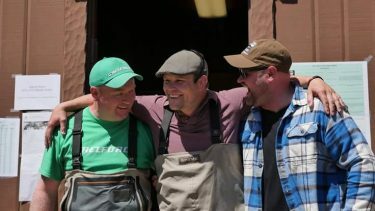 Lastly too all my good friends that spey casting was the catalyst of our friendships, thank you. We all push each other and in return push the sport, lets keep pushing!! I hope too see you all and more next year!! This year was a great victory for myself, I wont soon forget it. Here is too World championship number 3!!! Sharing the stand with a couple amazing people!!!! 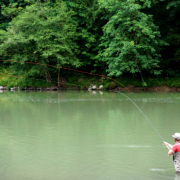 lets get you on the water!!!!! 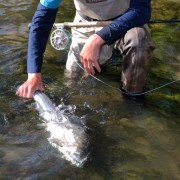 http://speyfishingoregon.com/wp-content/uploads/2017/04/IMG_2880.jpg 414 736 Travis Johnson http://speyfishingoregon.com/wp-content/uploads/2014/04/awa-logo1.png Travis Johnson2017-04-29 15:01:362017-04-29 15:01:36Big April for AWA!!!! 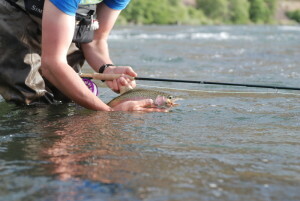 Deschutes Trout are still eating caddis and the Big Apple is getting close. 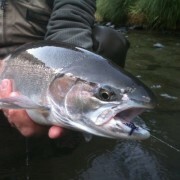 Well the Word is Out on Oregon Winter Steelhead!!! 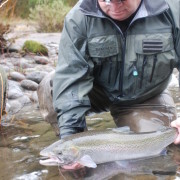 Our Steelhead beg for rain!!!! !